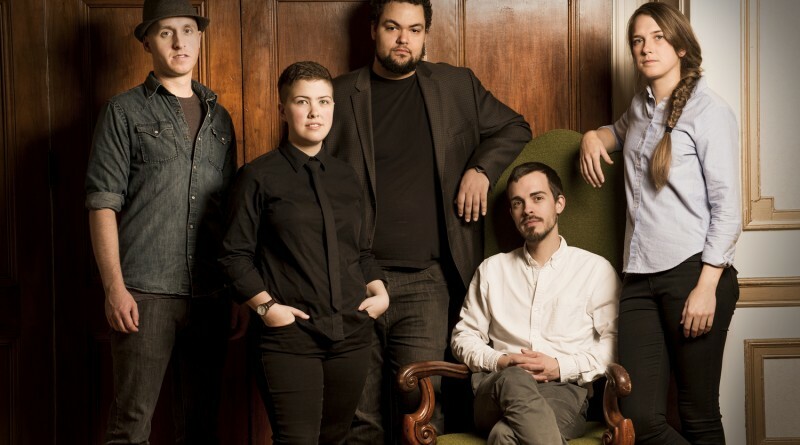 The Halifax-based pop/folk group Hillsburn has been slowly and deliberately building up a powerful head of steam on the East Coast’s always fertile music scene. First spotted by many in the CBC’s Searchlight Talent contest last year, the band has recently released its first full-length CD, In the Battle Years. Their music is like nothing I’ve ever heard before. Using the Nu-Folk scene populated by the likes of Mumford & Sons and The Lumineers as a departure point, Hillsburn distills the stark acoustic sound of that trend and punches up the pop aspects, bringing short, sharp musical phrases, hooky chorus lines and curious constructions all together to make for a startlingly original sound. The songs come from guitarist and singer Paul Aarntzen. His whole approach speaks to current youth culture concerns, full of yearning for the fleeting notions of escape into meaningful activity. Less obsessed with old tropes like rebellion, alienation and opting out, Aarntzen’s ideas speak to issues like hanging on and fitting in during an era where the only constant is change. With the band just bursting out of the gate, I have no hesitation in saying that Hillsburn has the potential to become the East Coast’s ‘Next Big Thing’, rivaling the success of the Rankins and Sloan.